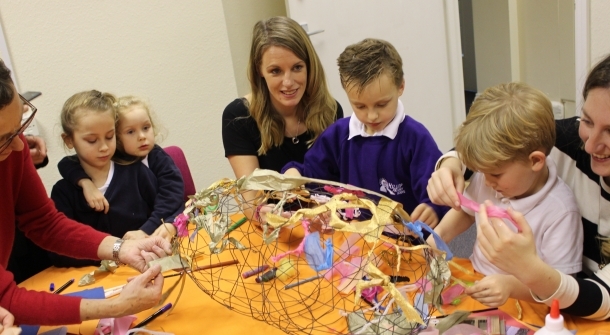 St Catherine’s Hospice is calling on local schools, early years learning groups and community groups to get involved in an exciting, large scale art project while supporting their local hospice. Eight schools have already signed up for St Catherine’s Young Heart Project. This is part of the hospice’s HeART to Heart trail, sponsored by Thakeham, which will give visitors a chance to follow a trail of giant hearts across Sussex and Surrey this summer. These hearts will be displayed in the areas St Catherine’s provides people with expert end of life care. And there's still chance for other local schools, early year learning groups and community groups to become a crucial part of the hospice’s trail by joining the Young Hearts project. The project involves school or groups customising a wire heart for display in local spaces such as libraries and shopping centres. Their wire hearts will be displayed alongside larger heart sculptures. These sculptures have been uniquely designed by local artists and individually sponsored by local businesses and organisations. Each wire heart has also been handmade by a local artist and designed to create a beautiful structure that encourages children’s creative freedom. There is also the opportunity for young people to take part in workshops with local artists. Please note designs need to be completed by the end of May 2019.